Hiring a contractor is always a stressful process. There are many contractors to choose from within each field, so it can be difficult to separate the good ones from the rest. Before you sign a contract to work with any particular company on a project in your home, you should make sure that you have done plenty of research and asked all of the right questions. When it comes to hiring an HVAC contractor to work on your home, there are some specific points that you need to keep in mind. It is particularly important to get your HVAC job right, as these tend to be expensive projects – such as the replacement of air conditioning units. 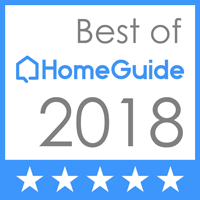 Before you hire your next heating and cooling professional, be sure to review the advice below on how to pick out the best one for your needs. Plain and simple, you should not be working with an HVAC professional unless they have a license. There should be no exceptions to this rule. It doesn’t matter if they tell you that they know how to do all of the work, and they just don’t want to do the paperwork to maintain a license. A good contractor will have a license, and those who don’t should be ignored. Rather than taking a contractor at their word when they say they have a license, go a step further and check for yourself. You can do this check online, and it will only take a moment to confirm that they are actually in good standing within this profession. If you are someone who usually relies heavily on online reviews in order to make buying decisions, you might be surprised to learn that many of those reviews are fake. It’s true – many companies will find ways to post fake positive reviews about their own company, along with fake negative reviews about the competition. Therefore, when reading reviews online about HVAC contractors, understand that many of the comments you read may in fact be illegitimate. There are still ways of doing research to find great contractors for your HVAC needs, but be wary of leaning on online reviews. It will be tempting to automatically accept the lowest bid you receive, but is that actually going to be the best choice for you in the long run? Probably not. You may get a flood of bids for your job from low-cost contractors, some of whom may seem like they have the experience to do the job right. Unfortunately, they are probably lying to you. HVAC installation and repair service is expensive, and the quality companies that provide you with a bid will be honest and upfront about the cost of everything, including parts, labor, insurance, and more. The simple advice is often the best, and that is true in this case – if something seems too good to be true, it probably is. You should not be the only person asking questions while seeking out an HVAC contractor to complete a project at your home. In fact, the prospective professional should probably be asking more questions than you. They should want to know details on the size of your home, the system you have installed currently, the age of that system, and more. If a contractor wants to simply rush to give you a low quote without taking the time to get to know you and your needs, they are only looking for a quick cash grab. Generally speaking, the HVAC companies with the most questions are the ones who will do the best work in the end.